Judith has extensive educational and clinical expertise in sexual health, HIV and women’s health in a diverse range of national and international environments. 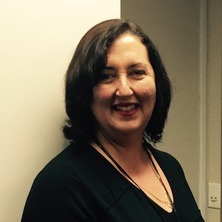 She also has extensive experience in providing gender, sexuality, and culturally appropriate health care, education, and support to Indigenous communities and culturally and linguistically diverse (CALD) populations in Australia and overseas. This includes over 5 years experience working in the Northern Territory along with two years with International Committee of Red Cross in settings such as South Sudan and Afghanistan. The challenges of a multisite ethics application: a PhD student’s perspective. Young Queensland Sudanese’s sexual health and behaviours may place them at risk – Culturally informed sexuality education is needed.